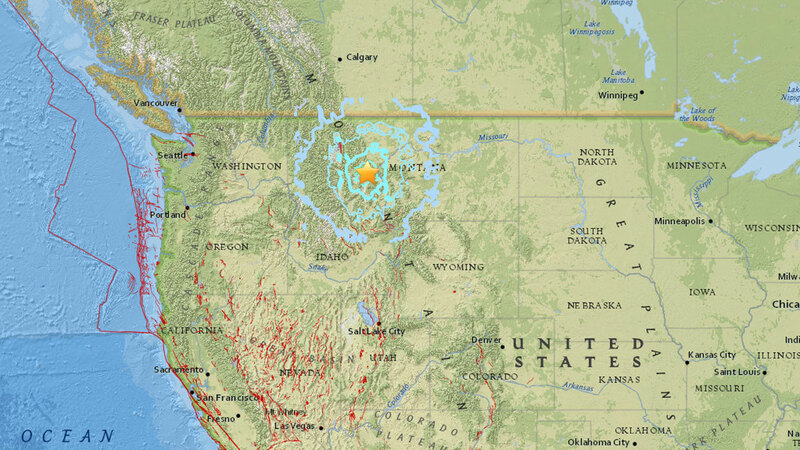 A 5.8 magnitude earthquake struck in western Montana and was felt as far west as Spokane, Washington before it was followed by a series of smaller quakes. The USGS reported the earthquakes were centered about six miles southeast of Lincoln, Montana and the first struck about 11:30 p.m. Pacific time. The 5.8 quake was followed by a series of smaller quakes over the following hour, of magnitudes 4.9, 4.5, 3.9 and 4.4, according to the USGS. There were no immediate reports of injuries, but on social media many people reported feeling a significant shaking strong enough to wake them up, rattle household items and cause scattered power outages. It was also felt in Idaho and in communities just over the Canadian border.